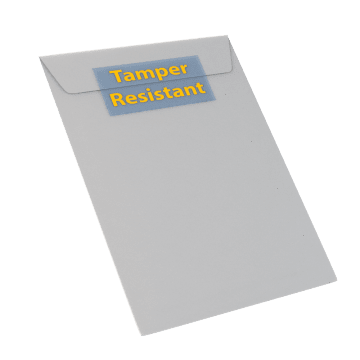 Provide an extra level of security when mailing confidential documents or shipping packages using tamper-resistant labels. They firmly stick to most surfaces, are difficult to remove, and cannot be repaired to hide evidence of tampering. Mark important shipments containing evidence or other confidential material with special evidence tape.